This is how newspaper columnist Kevin Myers described one of the last killings of the Irish War of Independence in an article in the Irish Independent marking the ninetieth anniversary of the Anglo-Irish Truce, which ended the war on 11 July 1921. Myers dismissed the IRA military campaign of 1919-21, which eventu­ally led to the creation of an independent state in southern Ireland, as part of a 'cycle of psychiatric futility'. Furthermore, he claimed that the 'murder' of Alfred Needham exposed as a fiction the con­cept of the War of Independence as a necessary and legitimate war. Ironically, Myers' account of Needham's killing is almost entirely fictional. There was no wedding ceremony, no teenage bride and no clerk who tipped off the IRA. Needham, a Black and Tan from London, was shot standing at the door of a stable with two other armed members of the Royal Irish Constabulary (RIC) - not while leaving a registry office with his new bride. The tale about Needham being killed immediately after getting married appears to have been invented for melodramatic effect in a propaganda story. Yet different versions of this story continue to resurface every few years masquerading as factual history. Author Richard Abbott, an RUC officer who compiled a history of RIC casualties dur­ing the War of Independence, claimed that the IRA had attacked both Needham and his new bride after their wedding ceremony — killing him and hospitalising her.2 Eunan O'Halpin, Professor of Contemporary Irish History at Trinity College Dublin, stated in a recent television documentary that Needham had married in a church ceremony and was shot dead in front of his new bride just minutes after they had exchanged wedding vows.3 A common element in most of these accounts is the suggestion that the IRA Volunteers who killed Needham knew a ceasefire had been agreed with the British forces and that this was a motivating factor in the attack. 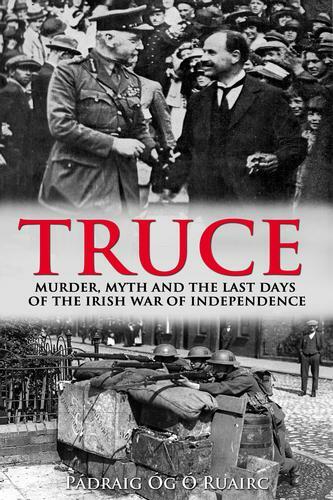 The stories about Needham's wedding are part of a wider nar­rative about the War of Independence, which claims that the announcement of the Truce on 8 July 1921 led to a wave of unjus­tifiable 'eleventh-hour' IRA attacks before the ceasefire began. Supporters of this narrative claim that republicans launched a determined campaign to kill as many people as possible before the war ended and that these final IRA attacks were made mainly against so-called 'soft targets', i.e. unarmed members of the British forces and loyalist civilians. Some historians and commentators allege that attacks on 'soft targets' accounted for the bulk of IRA activity throughout the War of Independence, which they claim was more akin to terrorism than to a military campaign. It has also been asserted that Protestants were targeted as part of a sectarian campaign conducted by the IRA, and that such attacks intensified after the Truce was announced. After the announcement of the Truce, the IRA killed up to a dozen alleged spies, most of whom were innocent Protestants with no connection to the British forces. Four teenage soldiers, mere boys who had left their post to visit a sweet shop, were abducted and murdered by the IRA for no apparent reason. Three Protestant boys were abducted, killed and secretly buried by the IRA in Cork city because of republican paranoia about spies. A devout Catholic serving in the RIC was shot dead by IRA gun­men while on his way to Mass on the morning of the ceasefire. The IRA in Kerry launched its only attack of the war, killing a soldier and an innocent young woman, just minutes before the Truce started. A Black and Tan strolling through a picturesque Wicklow village was murdered by republicans less than an hour after the ceasefire began.